We will be publishing articles to this site that will have high value for you when you buy, sell, lease, or engage a company to manage your aircraft. Of course, articles that you read on the internet are only as credible as the person behind them, so I’ll start by introducing myself. I’ll give you a thumbnail sketch of my background and the genesis of Dallas Jet International. I’ll also discuss the major influencing factors for the way I do business. Before Dallas Jet International, there was . . .
My name is Brad Harris, and I got into this business by way of several other businesses and fields. I went through three and a half years of architectural school and discovered that wasn’t what I wanted to do, so I changed majors and graduated from Louisiana Tech University with a Bachelor of Science in Professional Aviation and Airway Science. I followed that by earning a Master’s Degree in Industrial Organizational Psychology /Human Relations and Supervision. After teaching Aircraft Electrical Systems for Louisiana Tech for 2 quarters, I started working with International Paper as a corporate pilot. The Chief Pilot, a gentleman by the name of Jim Cook became one of four mentors who were really instrumental in my life. After I told Jim about my plans to start another company leasing airplanes, he agreed to let me fly without assigning the usual administrative duties, since I wanted to devote time to my new venture. I began leasing aircraft about the same time I was flying with International Paper. Within three or four months, my leasing company was profitable, so I left my position there to operate Brad Harris Aviation, Inc. 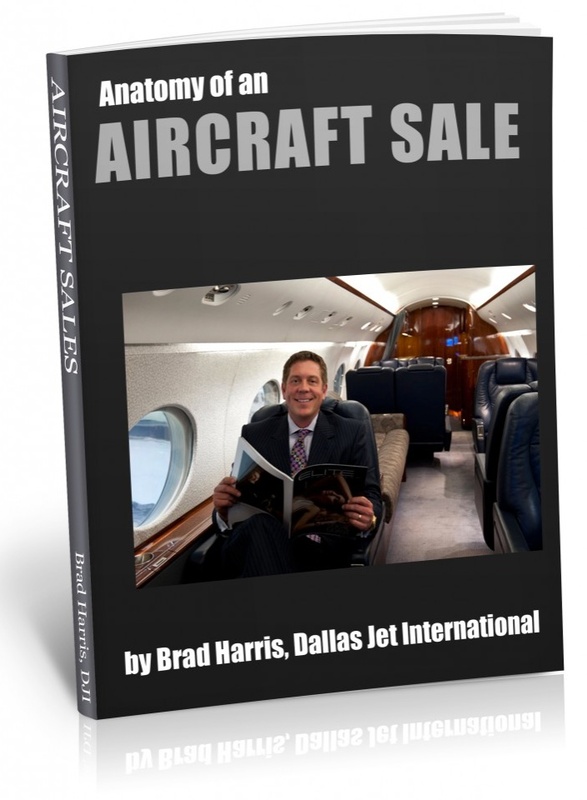 I operated Brad Harris Aviation, Inc. for a little more than a year when one of my customers asked me to help him buy an aircraft, which I did. He later asked – “What do I do about a crew, and maintenance?” That started the aircraft management business – we hired pilots and handled maintenance starting in 1993. Then another customer wanted to buy his own aircraft; we helped him, and at his request, we managed his crew and maintenance as well. As we continued to grow, we invested in real estate, a restaurant as an owner, built a subdivision and some spec houses. This range of experience helps me to really understand our clients, and the needs and pressures they experience in the many different types of businesses they operate. I sold three airplanes to a gentleman in Dallas. He asked me to move to Dallas to manage his aircraft. I moved from Fairhope, Alabama to Dallas in 2002 and combined those companies into Dallas Jet International. 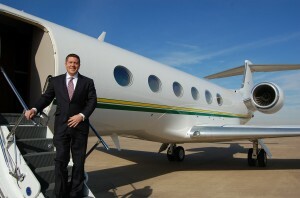 The Sales Division purchases aircraft for dealer inventory. We purchase aircraft from manufacturers, brokers, companies and individuals. The Brokerage division represents the buyer side, or the seller, or we may do both with one customer. Some of our clients call and say “Brad, I’m interested in selling our airplane and buying another.” We are able to represent that client for the sale and the following acquisition. Insurance, Leasing and Consulting will be the topics of future articles. What sets us apart from the industry is that we are operational aircraft brokers. We obviously understand the market and the costs, but we also understand the flight characteristics and operational parameters because we are type rated (or we become type rated) in aircraft we manage. When a customer calls us and says “We want to buy a certain airplane,” Shawn and I are able to look at the situation as a businessperson sees it, and also as a pilot sees it. I may only get to fly it infrequently, but I learn to really understand how to manage that aircraft type. When our maintenance guy calls and tells us “We have a problem with this aircraft,” I understand the systems of the airplane. I have an understanding of what is necessary to control costs and to really diagnose what the airplane needs from a management and sales perspective. There are a lot of “book brokers.” When you call them and ask “What are the operational differences between a Gulfstream IVSP versus a Gulfstream V?” they will read to you from a book or a computer program. I currently have 10 type ratings and I am type rated in the Gulfstream 550, 450, 350,the GV, the GIV, the GIII, and the GII. Of course, we also have the book; but the hands-on experience is even more relevant from a sales perspective. We take ownership of the transaction, and the fiduciary responsibility to protect or buyer’s or seller’s interests. We take this responsibility very seriously and have developed a detailed process to ensure a flawless transaction. Our process includes contracts, maintenance, delivery, insurance, and all other technical processes. Our company goal is to build relationships for a lifetime. We’re aircraft market specialists, in the relationship business. We oversee an extensive transaction process that could include asset acquisition, refit, management and/or sales. Ten years ago, buying or selling an aircraft was an entirely in-person, across the table, shake your hand experience. Now, there is a lot of technology involved. Buyers do research on the Internet, and we’re using social media to stay connected for the convenience of our buyers and sellers. We have to understand where the market is and how to adapt to make the process more convenient and efficient for our buyers and sellers, without taking away from the trusted in-person relationships and sales skills that will always be necessary. We use the Internet, social media, and digital marketing so that our company will always be a trendsetter. This blog is an example of how we reach out to provide information that is more convenient for you. Please join us here often, feel free to comment on what you read, or give us a call if you have a question, concern or would like assistance with an aircraft transaction.